Cats Only & Home Visiting ...a purrfect combination! Cats have been treated by many vets as small dogs for far too long! "Why not?" I am sure your cat would say! Anyone who has ever had a cat will know that they are sensitive little souls, only truly understood by "cat" people. Cat-only vets are very hard to come by... I know because I have travelled in excess of a hundred miles to work at one of the best, Oxford Cat Clinic. The difference in the cats I see at this practice is significant - heart rates and blood pressure levels are significantly better and cats are just so much more relaxed having not shared the building with dogs. Add to that the natural "cattitude" of vets that have devoted their career to the difficult world of feline medicine and it is no surprise that cat owners prefer taking their cat to such practices. I feel cats have been treated by many vets as small dogs for far too long! My clinic is designed to give felines and their doting owners the unique and special approach that they deserve. My own cats are lucky enough to have a resident vet and I have long wished that other cats could be offered a similar luxury. As fantastic as cat-only vet practices are, little can be done to reduce the stress of capture, confinement and travel to the clinic. This often traumatic experience can have a significant effect on even young, otherwise healthy cats. 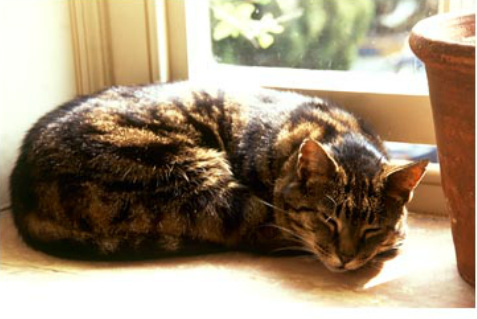 For anxious, unwell or fragile senior cats the impact can actually be much more harmful. Owners with multiple cats, can find visiting the vet a complete logistical nightmare. It is no easy task ensuring that each cat is "present and correct" for transport to their appointment. For a list of benefits to ﻿you and your cat, click here. It never surprises me when cat owners arrive at the vet practice just as frazzled and anxious as their poor cats. I have long believed that there must be a better way and there is...home visiting vet clinics are definitely the way forward! 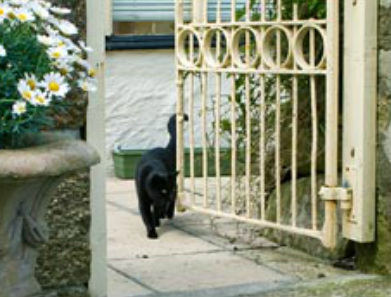 Let me visit your cat in the comfort of your own home and experience the difference yourself or read more about how a visit could benefit you both. the convenient and relaxed setting of your home!